PRO-ART: Storage Box With Two Trays. 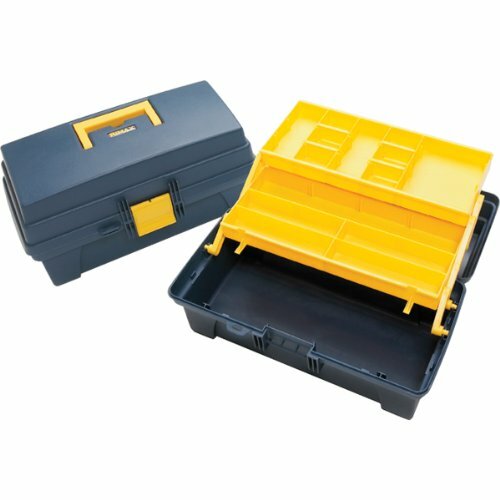 This blue and yellow storage box is perfect to keep all of your supplies organized and safe. It includes two cantilevered trays each with five sections to keep your smaller knick knacks in order. If that's not enough there are also plastic section dividers that easily slide into the trays to create even more compartments. This 14x8x7 inch storage box also features a lock. Imported.